The amount of documented experimental units developed by Minneapolis Steel & Machinery is a relatively small number. The Post World War 1 Depression was so severe to manufacturing companies that many of them could not even survive the early 1920s. Money spent on advertising dropped noticeably at that point, and financial backers of MS&MC would not allow extra expenditures on the questionable success of experimental models. In some cases there are only photographs that survived as proof that a particular model was actually produced. Other examples had a small run of serial numbers issued to them. Some of these have been discovered in recent history and some have yet to turn up. The mystery of experimental machines that may or may not exist has an intoxicating effect on collectors that pursue the diminutive chances of a potential discovery. One can be sure that there were several early experimental efforts that were scrapped, altered, or may have been un-recorded that we may never realize. 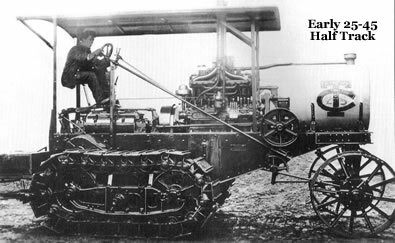 Click HERE to bring up a pdf file of the article that appeared in the 7/2010 issue of The Prairie Gold Rush about this crawler. In the early teens, half-tracks were produced by many companies including MS&MC. 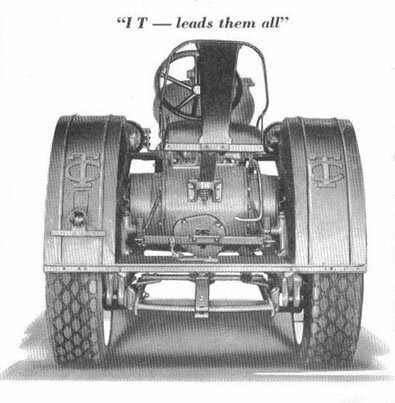 Possessing one or two front wheels for steering and a pair of driving tracks at the rear, this design gave way to crawler production at later dates. The concept and progression of the Twin City 21-32 was a rather long and carefully calculated move. 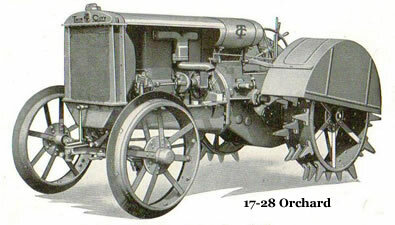 Two runs of experimental machines and a short run of two speed units came before the regular production three speed tractors of 1929. Preserved serial numbers from Minnesota Historical Society show 12 newly designed FE (21-32) engines installed in 12-20 chassis with their own set of serial numbers in 1925. At this point, there are no known survivors. 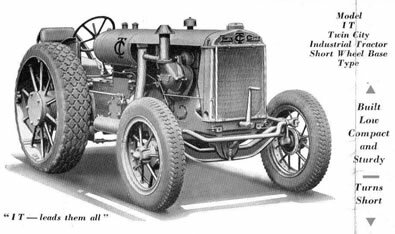 In 1926 and 1927, just over three hundred early two speed 21-32 tractors saw regular production. In 1928, a series of engine refinements, front end changes and move to three forward gears took place in a progression of six different experimental units referred to as X1 through X6. Four of these are known to have survived. 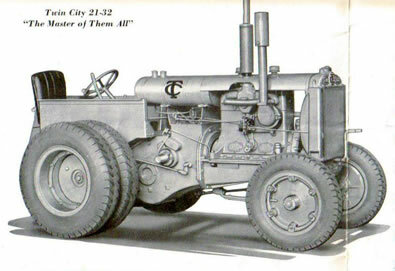 The 21-32 appeared briefly in a half-track, however, it has only been seen in some old photographs. The 21-32 and KT models did morph into dedicated industrial units that were distinctly modified from the factory in tiny production runs. These units had optional variations of front axles, seats, fenders, brakes, exhaust, and lighting equipment. Some industrial models with pneumatic tires for street travel had lights, horn and a licence plate bracket according to local traffic laws. Wheel sets were offered in single and dual versions of hard rubber and pneumatic type. The KT-I or Industrial, also known as IT was further modified into a short wheelbase, low clearance model. By rotating the rear axle housing, the rear wheels would pivot forward and up under the tractor. 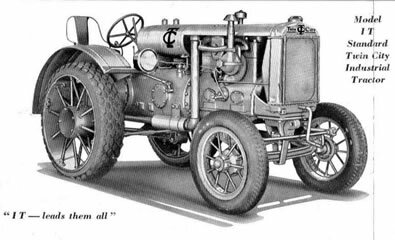 This ingenious idea coupled with a dropped front axle and low rear exit exhaust made an industrial machine capable of turning tightly in confined areas. 12-20, 17-28 and KT models were fitted with orchard/vineyard equipment in small mostly un-recorded numbers. There is one surviving 17-28 orchard that is correctly equipped and restored according to a lengthy list of special low profile parts and wheels outlined in the parts manual for these models. Some of the industrial units are described and shown on the Factory Options page because they appear to be common production units that were merely fitted with industrial sets of wheels. 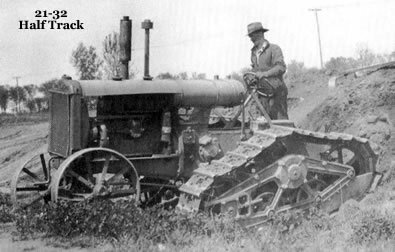 In 1927 several experimental combination harvester threshers were built for demonstration purposes. In 1928 an unknown quantity of these Twin City power combines appeared with the twin cam sixteen valve tractor engine on them. 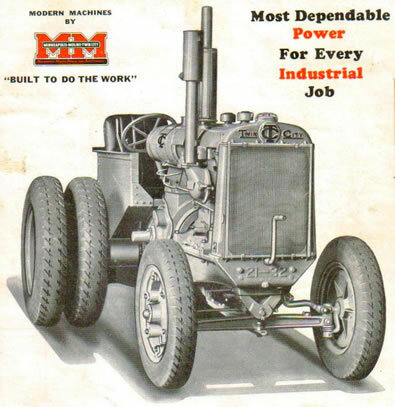 Post merger Minneapolis Moline combines produced in 1929 look very different and have an outsourced flathead engine on them.